Get tired of watching those tired eyes? 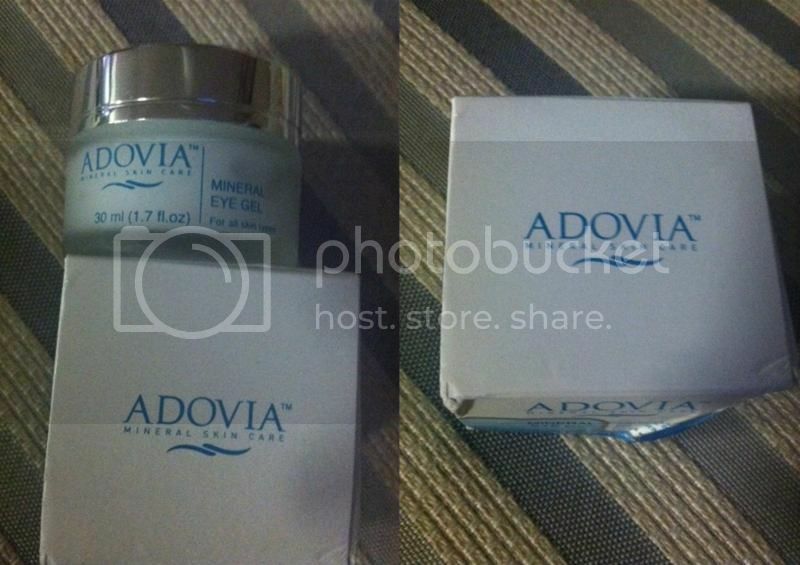 Well, then this is your chance to try Adovia's Mineral Eye Gel to help you get those natural and amazing eyes. This unique skin care line combines natural ingredients with modern science to formulate an effective blend of minerals and the finest herbal ingredients nature has to offer. This is created just for you to enjoy another amazing life without the worried mark on your face. The experience you will be able to feel when you use the Adovia's Mineral Eye Gel is to ensure that it will work to restore your skin's natural inner balance, allowing it to renew and rebuild itself to achieve visibly smoother, healthier and younger looking skin. The application is very simple, all you have to do is to apply a small amount to the area under and around the eyes until absorbed. In order to achieve a good results use it daily. Need not to worry the product is intended for all skin types so everyone will have the chance to make that satisfaction smile on their face.